River Garden Restaurant - Belper, Derbyshire. Now if anywhere does all you can eat, I'm there! River Gardens has been a favourite on mine for many years and I think I must visit at least once a month. 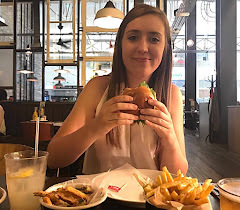 I personally have found that its best to eat here on weeknights, not only is the price a little cheaper (£13.99 each rather than £14.99 on Friday/ Saturday) but it's less hectic and makes for a better dining experience. Every time, we are greeted by the same lovely lady, who now knows us by name and the service is always great. The way this place works is that you are given menus, I always opt for the all you can eat, but an A La Carte menu is available too. You order starters and continue to order these until you're ready to move to mains. 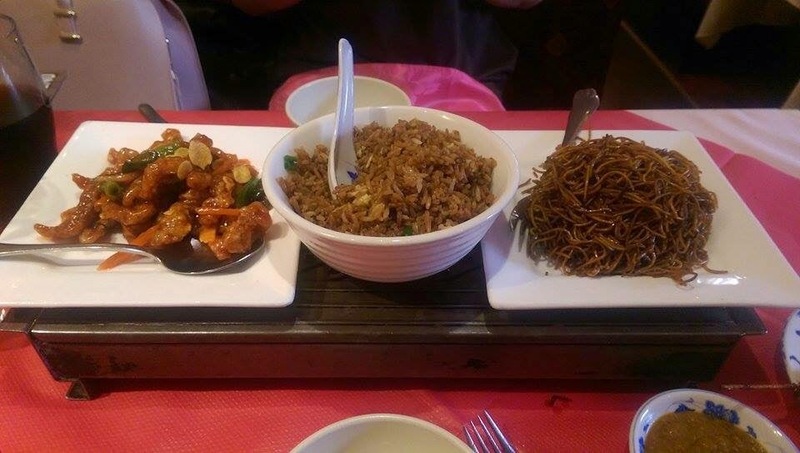 All of the food is served on a metal tray they put in the middle of the table which has tea lights in to keep your food warm. The crispy Wan Tans here are to die for! We usually go for the same every time with starters and just order the one 'round' as I like to fill up on mains. Here we have the aforementioned wan tans, seaweed and chicken wings in OK sauce. Like I say, if you do want more, you can order more when the waiter comes to clear your plates or if you manage to catch one walking past at any point. 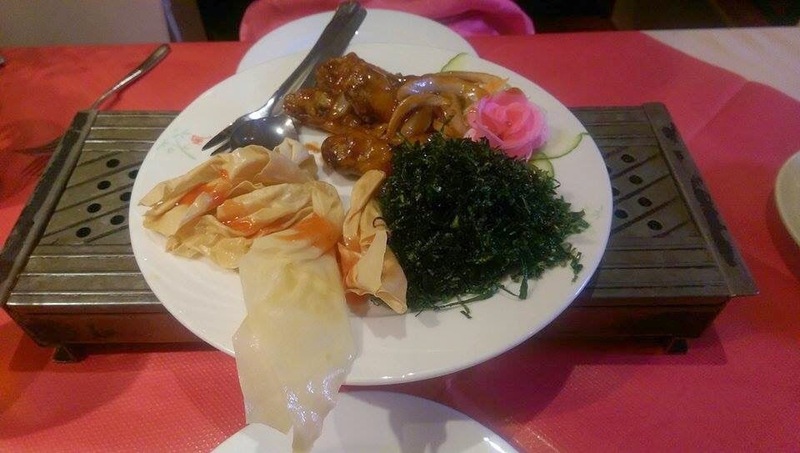 For mains, there is plenty of choice with a variety of meats and sauces including all of the favourites from a Chinese. The crispy shredded chilli beef is my all time favourite along with some egg fried rice and noodles. Ashlea usually goes for chicken in satay sauce along with the rice and noodles. The portion sizes may seem a tad stingy to begin with but I assume this is to avoid unnecessary wastage. But like with starters, you keep ordering as and when you want more and can even go back to starters if you like! They also have a full vegetarian menu which takes up the whole of the back of the menu, so plenty of choice for the veggies too! There are desserts on offer, but I'm usually too full at this point and haven't actually had one before! I would recommend booking here, it isn't always necessary on weeknights but I would say it's a must for the weekend as it can get busy. There is no on-site parking, however there is a car park just a minute walk down the road which is very handy at just 50p after 6pm.